with the one they call Doodles, the giant ELFIE! 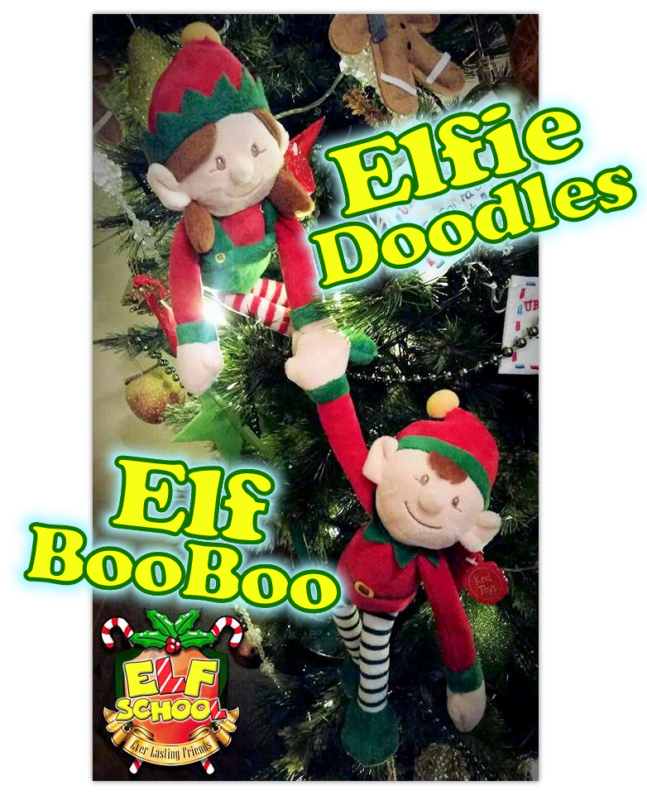 Elfie Doodles will check if her newest friend has made it in on to Santa’s List and will check to see if they have been Naughty or Nice, with her Squeaky Squonky Elf Device, she will also check the grown ups too – so you’d better be on your best behaviour! Elfie’s newest friend will take the Elf Oath and help make some Reindeer Food magically appear! 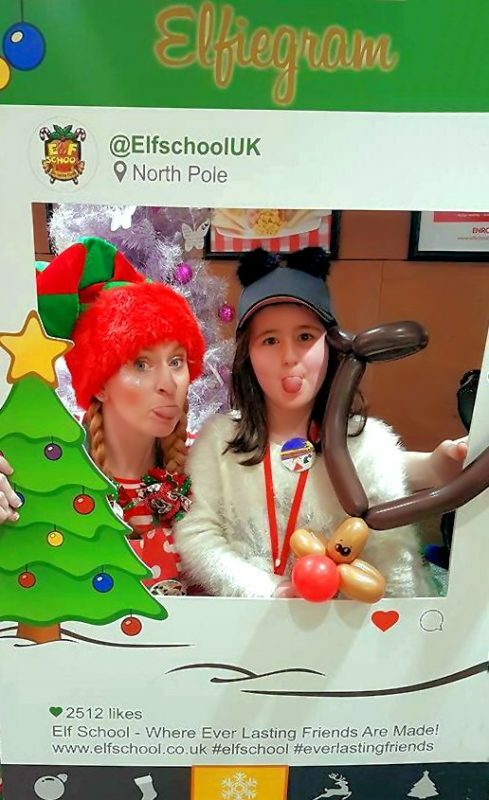 They will be trained by Santa’s Chief Balloon Maker (that’s Elfie Doodles to me and you) to make their own Reindeer Balloon Wand! Your child becomes the Star of Christmas and will make their very own keepsake Elf appear. 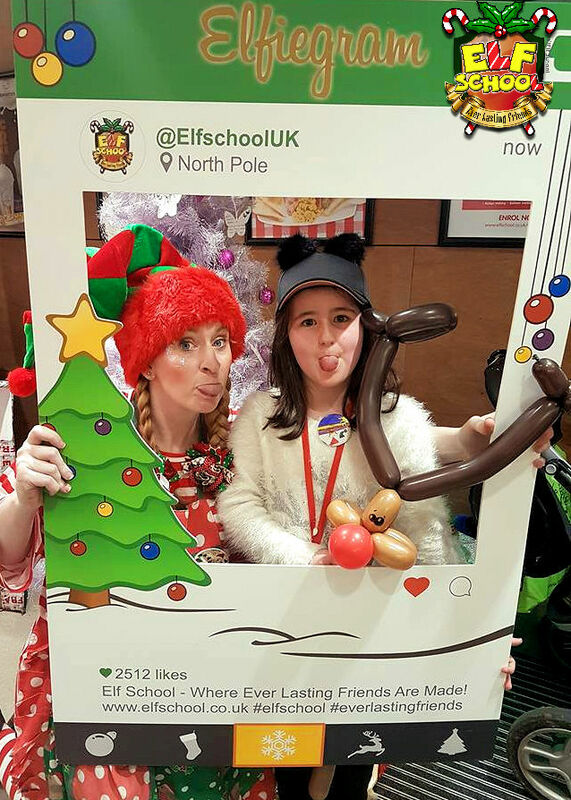 Then it’s time to get up to some Elf mischief, and don’t forget to have your sELFie with Elfie! Your child passes the E.L.F. test with flying colours and receives a certificate, and a letter from Santa will magically appear. 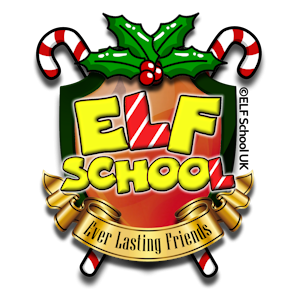 this includes: Elf of your choice with Elf Mission List, Reindeer Food, Elf Hat, Reindeer Balloon Wand and Official Elf School Certificate!